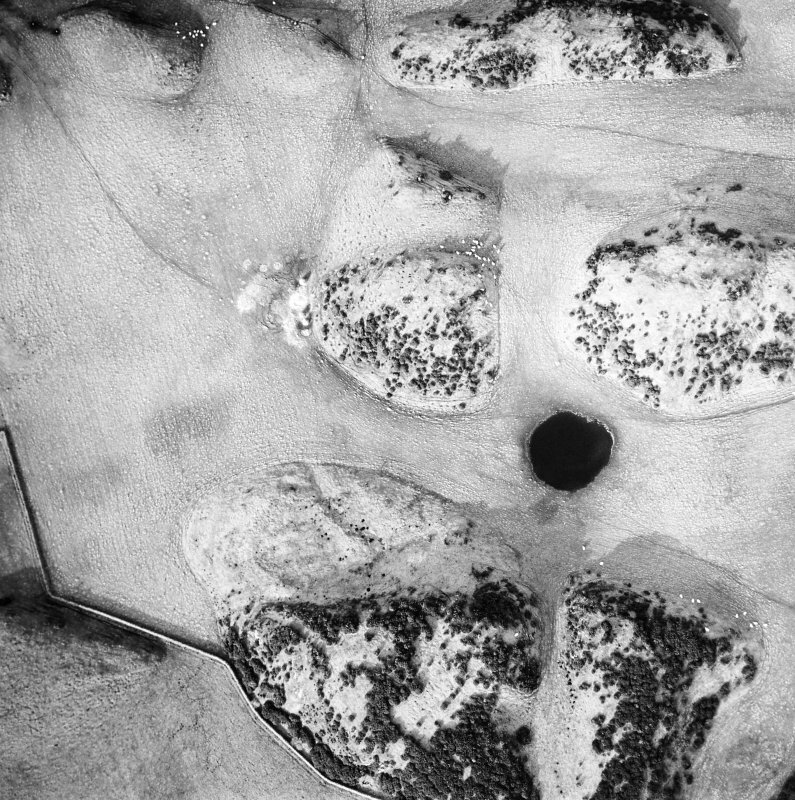 Oblique aerial view centred on the remains of the homestead, taken from the ENE. 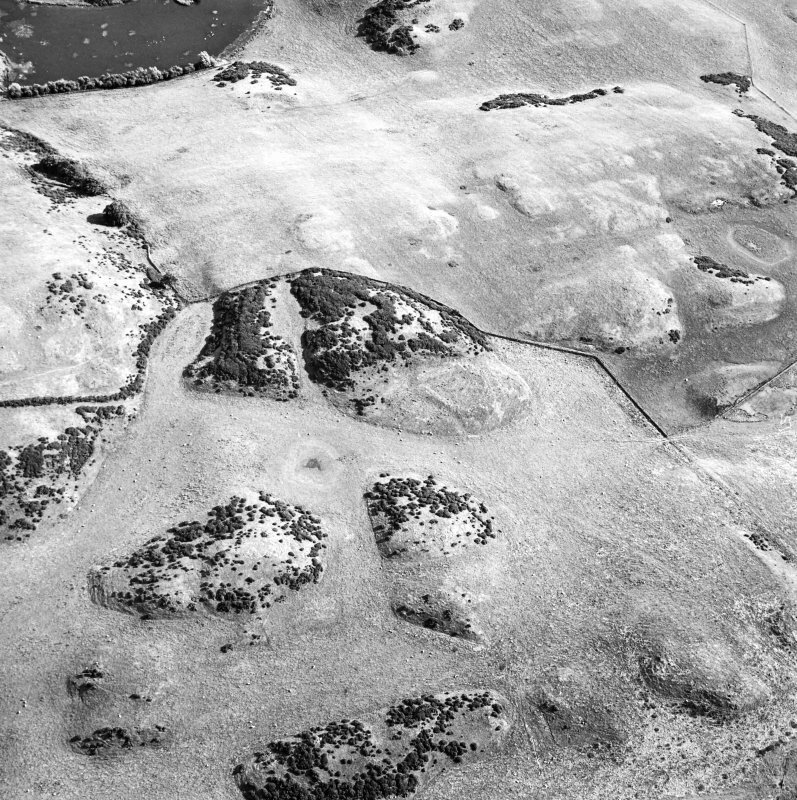 Oblique aerial view centred on the remains of the homestead, taken from the E.
Oblique aerial view centred on the remains of the homestead, taken from the SSE. 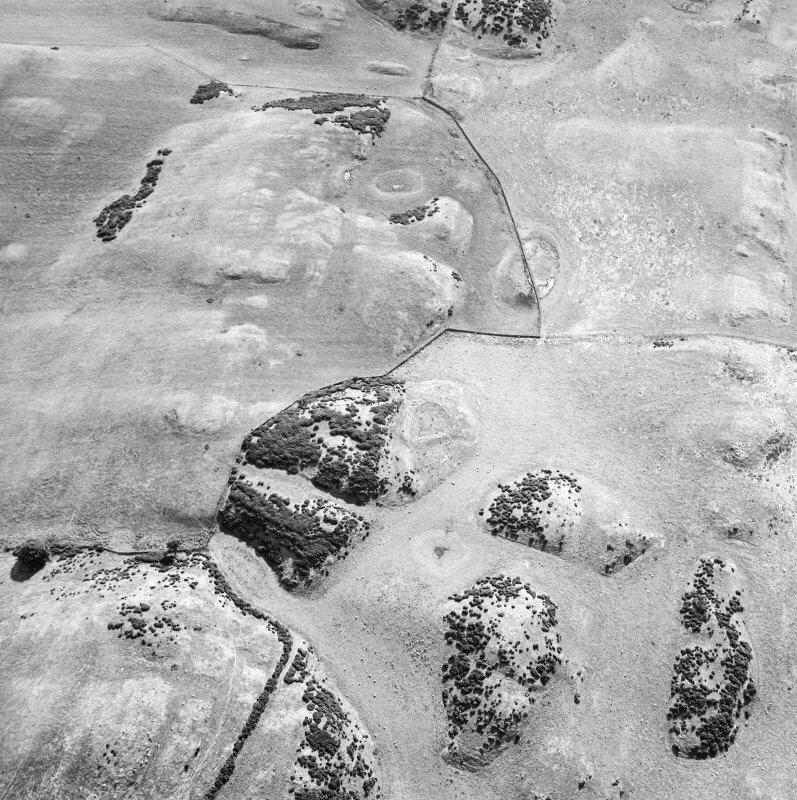 General oblique aerial view of the snow-covered remains of the fort at Coldingham Loch, taken from the NW. 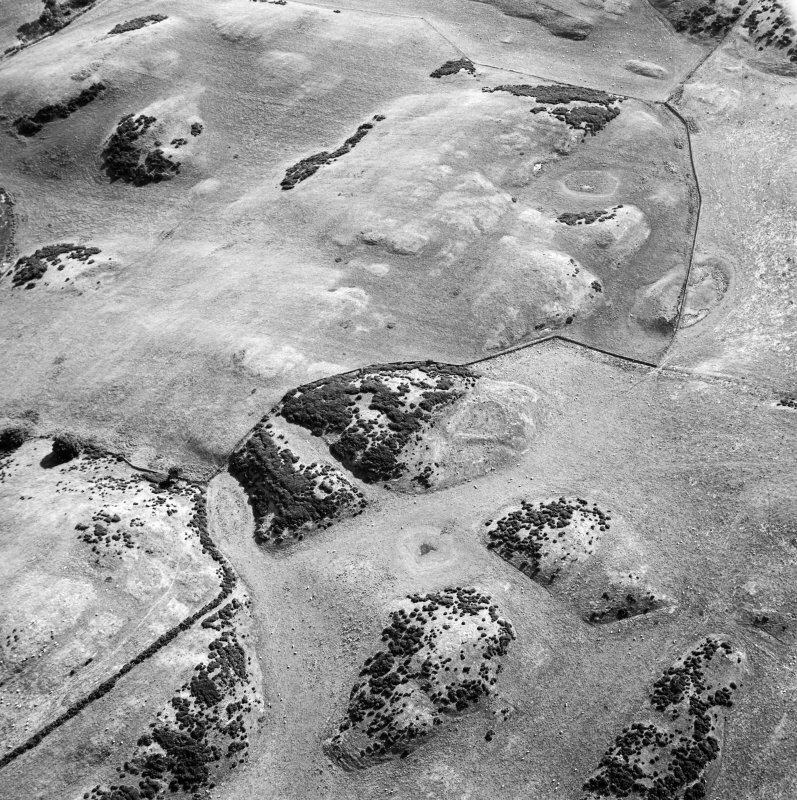 Oblique aerial view centred on the remains of the settlement, taken from the N.
Oblique aerial view centred on the remains of the settlement, taken from the NW. 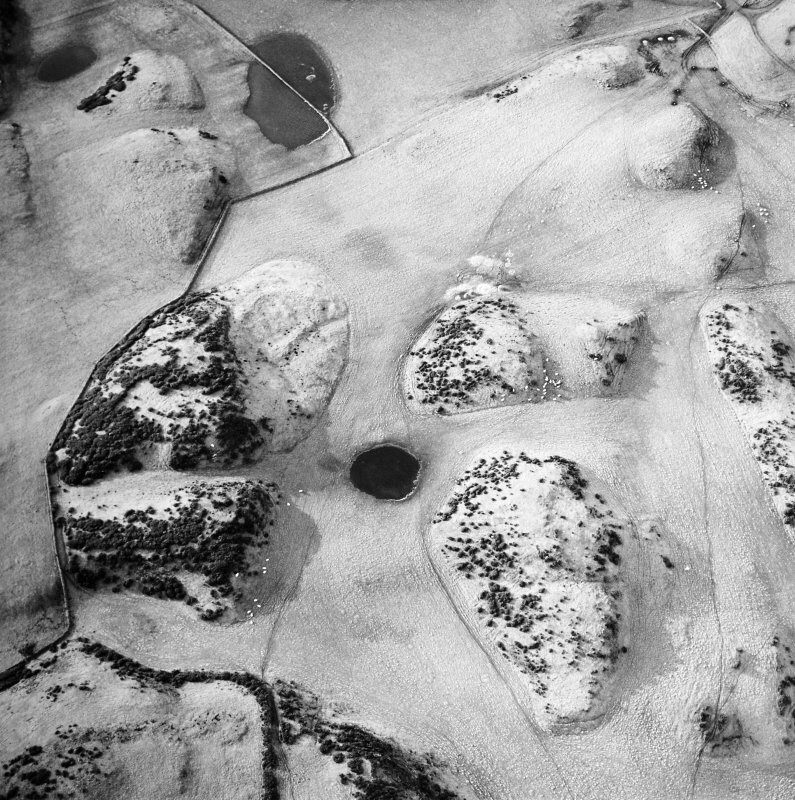 Oblique aerial view centred on the remains of the settlement, taken from the NNE. 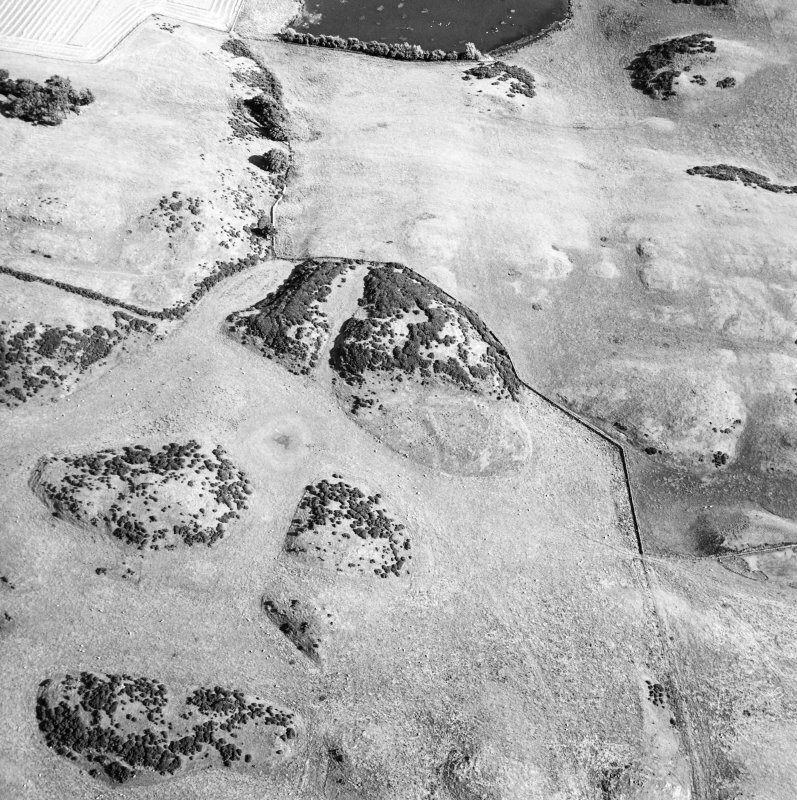 Oblique aerial view centred on the remains of the settlement, taken from the NE. 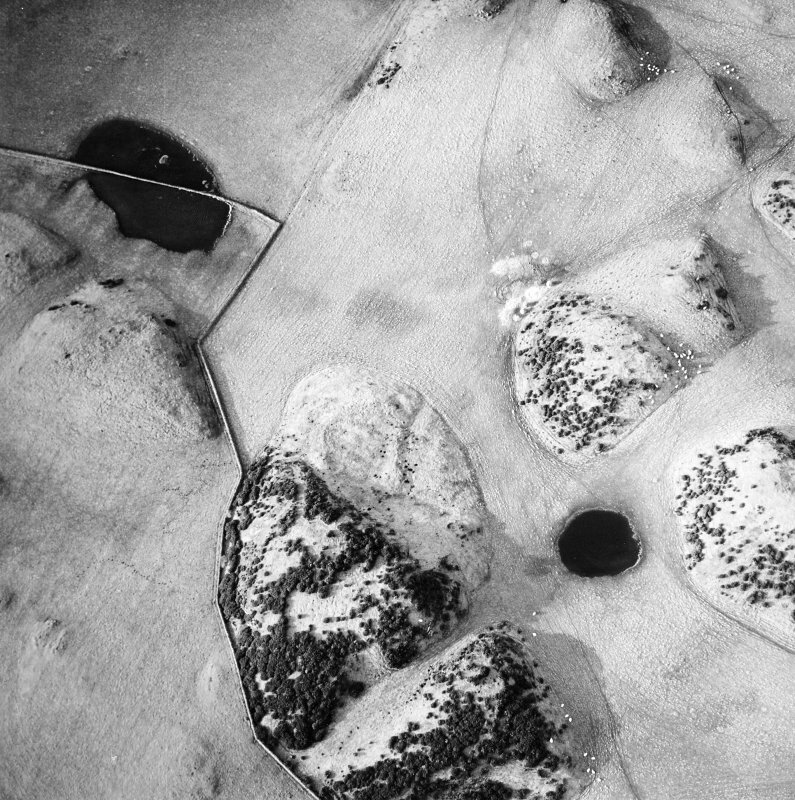 Oblique aerial view centred on the remains of the homestead, taken from the W.
OS 6"map, Berwickshire, 2nd ed., (1908). A small oval enclosure with a deep depression in the centre, and surrounded by a single rampart with an entrance in the NE (see RCAHMS 1915 plan, fig.47). RCAHMS 1915, visited 1908; D Christison 1895. 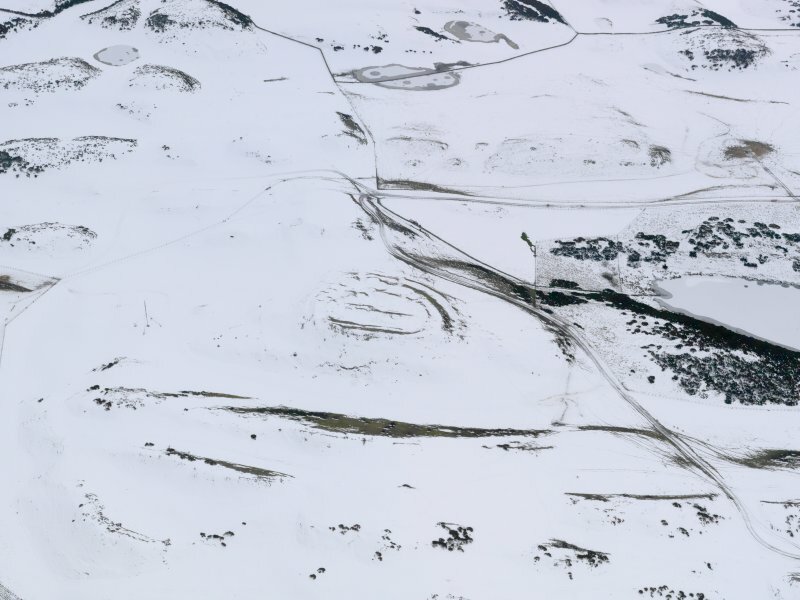 Enclosure: The much spread earth-and-stone bank encloses an area some 28.0m E-W by 22.0m transversely; it is 0.7m high. In the S corner are faint traces of a possible hut site measuring about 10.0m in diameter. The entrance is in the E. This would appear to be a homestead. Visited by OS(JLD) 3 November 1954. As described in the previous field report. Visited by OS(RD) 8 March 1966. 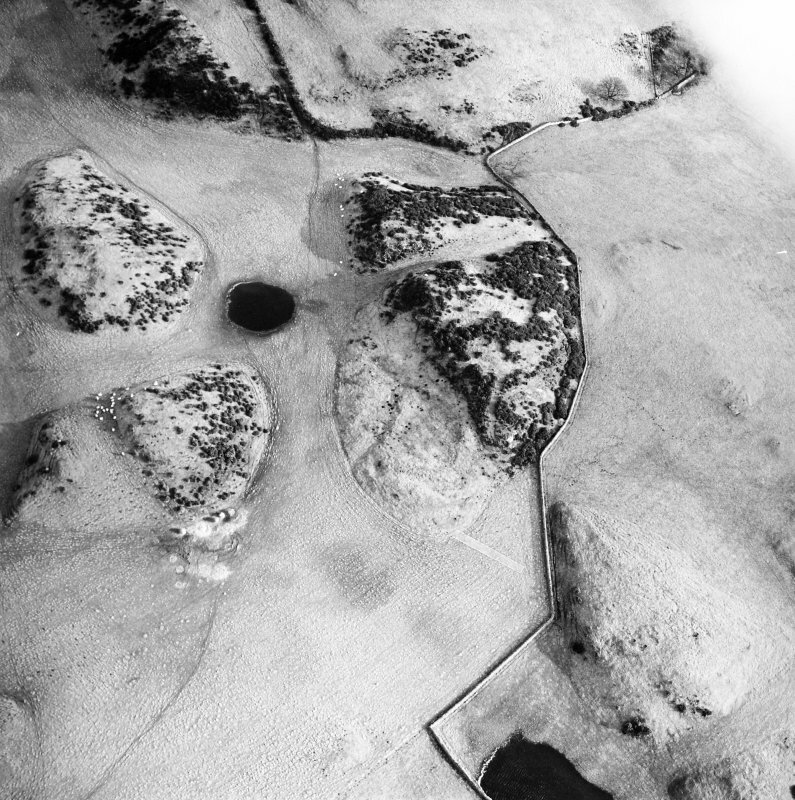 This D-shaped enclosure, which is possibly a homestead, is situated at the foot of a low knoll; it measures 25m by 23m within a stony bank up to 4m thick and 0.6m high. The entrance is on the ESE. Settlements, Coldingham Loch, (Inventory Nos. 81, 85, 86 and 87). All these structures are Romano-British or Dark Age settlements, comparable to those in Roxburghshire. Visited by RCAHMS (KS) 5 August 1950.